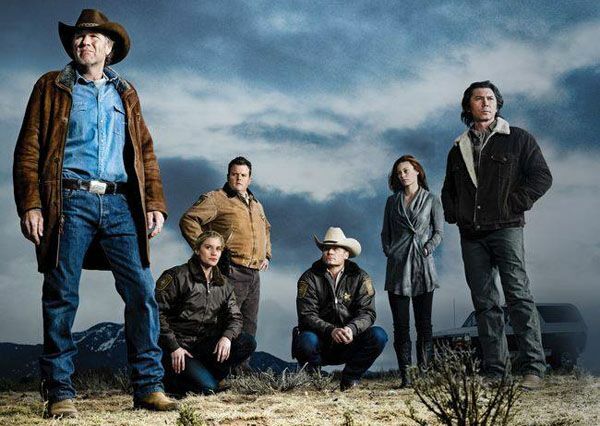 Longmire wrapped up its third season earlier this year on A&E. Apparently it wasn’t renewed at that time since Netflix has just announced that Longmire Season 4 is on the way. The 10 episode arc is set to hit the streaming service in 2015 and will be produced in conjunction with Warner Horizon Television. The contemporary crime thriller set in Big Sky country is based on the Walt Longmire mystery novels by best-selling author Craig Johnson. The series stars Robert Taylor (The Matrix) as Walt Longmire, the charismatic, dedicated and unflappable sheriff of Absaroka County, Wyoming, along with Katee Sackhoff (Battlestar Galactica, Riddick), Lou Diamond Phillips (Southland, La Bamba), Bailey Chase (Damages), Cassidy Freeman (Smallville) and Adam Bartley (Justified). Hit the jump for more on Longmire Season 4. 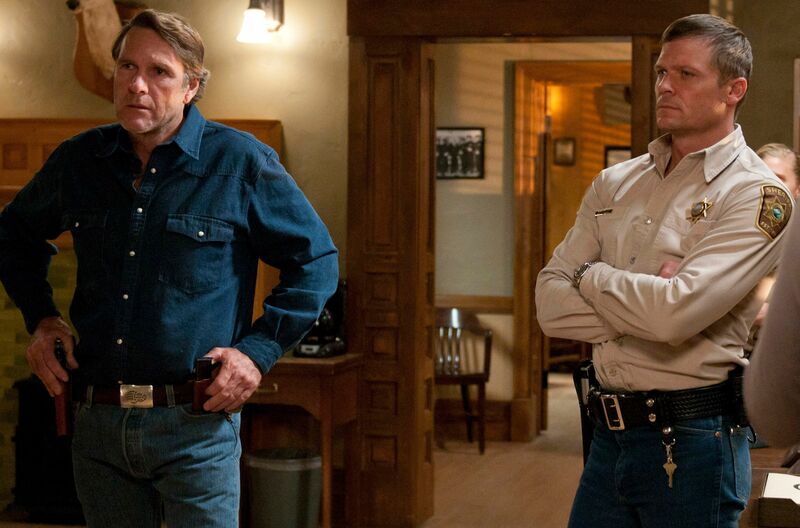 Season four of Longmire picks up moments after season three’s exciting finale. Walt Longmire (series star Robert Taylor), having found out who was behind the murder of his wife, succumbs to his darker impulses and takes off in pursuit of the killer with murder on his mind. Meanwhile, Branch Connally (Bailey Chase), the deputy who Walt fired for erratic, violent behavior, believes he has already figured out who the real culprit is. But during his confrontation with this suspected killer, a gun goes off. Now the audience will finally learn what happened, and whether Walt can be stopped before he makes a fatal choice. Ten new episodes of the series will premiere exclusively in the US, Canada, Australia and New Zealand in 2015. Longmire is produced by The Shephard/Robin Company in association with Warner Horizon Television. Hunt Baldwin (The Closer, Trust Me), John Coveny (The Closer, Trust Me), Greer Shephard (The Closer, Major Crimes, Nip/Tuck) and Michael M. Robin (The Closer, Major Crimes, Nip/Tuck) serve as executive producers. In the age of a thousand platforms, it’s nice that so many shows don’t have to stay dead for long.